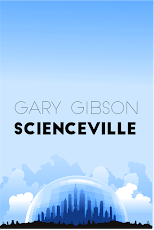 Just so you know, after much fussing over photo-editing and formatting software, Scienceville and Other Lost Worlds is now also available as a paperback! And a nice little package it is too. Slim, but delightful.